All the ducks shouted “AMEN!” and they all waddled home. As I’m writing this post, I’m drinking a cup of coffee. Its gotten lukewarm. And so I microwave it. I like it hot. Occasionally I will drink an iced coffee. 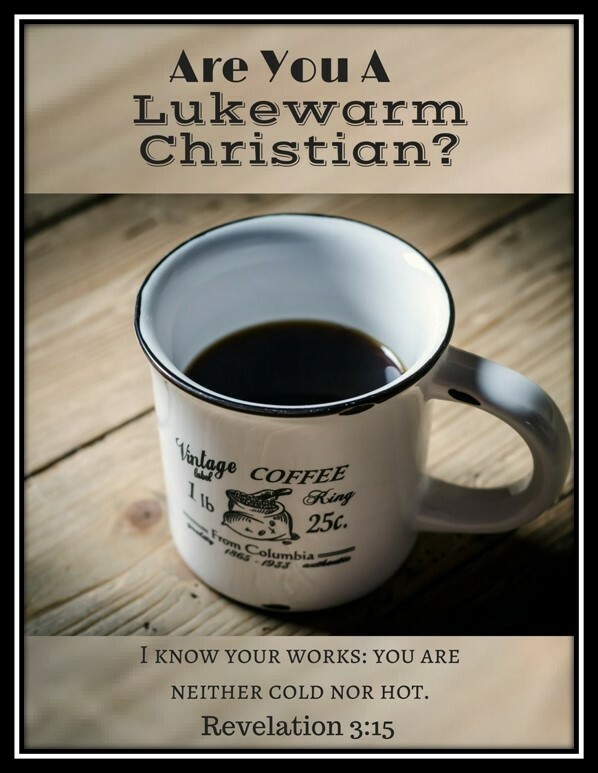 But not lukewarm. Being spiritually lukewarm is distasteful to the Lord. It describes the sin of apathy. Indifference. And unconcern. It has often been observed, “the greatest danger to our future is apathy.” This is true politically. Socially. Economically. And spiritually. The brethren in Laodicea were in grave danger. But they didn’t know it. They thought they were doing great. However, they had lost their spiritual vigor. Their values were misplaced. And their vision was blinded. They were deceived and deluded by their material prosperity and their physical well being. It’s possible for an entire congregation to meet regularly for worship. To teach the truth. To follow the divine pattern. To go through the scriptural motions. Yet, to lack passion. To be outwardly affected but not inwardly aroused. To become distant in their walk with God. Detached from the fellowship of the brethren. And disinterested in the wayward and the lost. Individually, we may be a part of the active and energetic church, yet our personal enthusiasm and interest in spiritual matters has weakened and waned. And, we are not just talking about church attendance or joyful worship. Are you engaged in the discipline of discipleship through regular Bible study, daily prayer and developing the fruit of the spirit? Are you seeking and seizing opportunities to do good through the avenue of ministry? Are you enjoying the fellowship of Christians beyond the confines of the church building? Are you sharing your faith and letting your light shine to a world lost in sin? Are you examining your life? Your heart? Your spiritual relationship? And working to make corrections and effective the necessary change? Is your life grounded in the faith? Inspired by your eternal hope? And expressed by divine love? Your responsiveness to the above questions may well be an indicator of your spiritual lethargy. A very good word today, Ken. It is so easy to be present at church meetings and to do churchy things but not to be emotionally engaged in it because apathy creeps into our hearts. I know I’ve been guilty of that. I’m letting the Lord do some more shaking up of my heart so that I won’t be lukewarm any more. Thanks for your encouragement!